Natural light is the most important element in our day-to-day life. It is that element, which the designers strive to get in a room promptly through their designs. It also helps in imparting a sense of life in the inhabitants of a space. Natural light is the most desired in dark and dingy rooms. Though it is essential, that, the natural light is maximized in a space, it is also essential to keep in mind the orientation of the window, in order to, keep the heat gain in check. We all love the natural light but not the heat gained due to unplanned windows. Window – Size it right! To ensure introduction of the natural light in a room in right proportions, it is essential, firstly, to keep the wall to window ratio in check; secondly, the size of the window also makes a considerable difference. 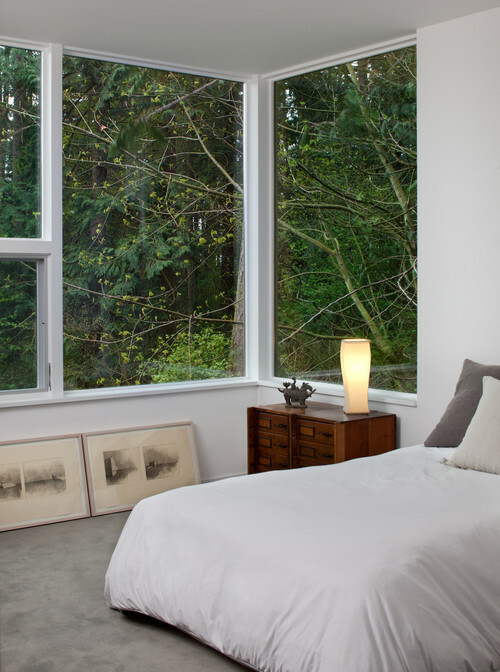 The window can be placed over the lintel height or the room can have a floor to ceiling height windows, if the room has a north-facing wall; as it will help tap the north light while cutting on the heat gain. 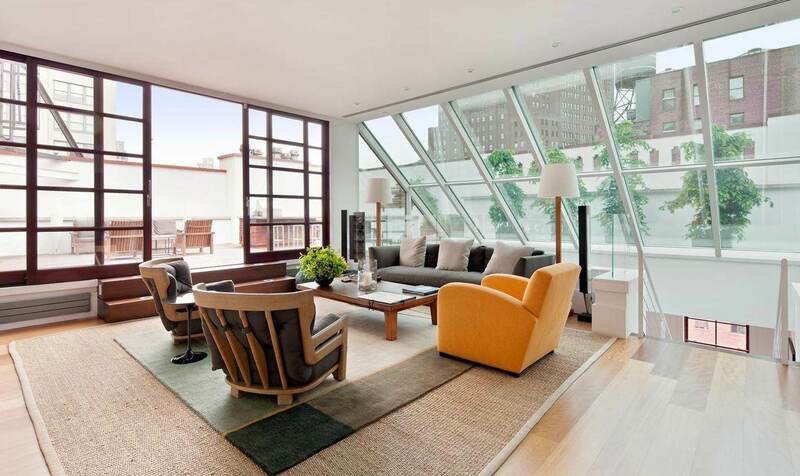 The windows in the south or west orientation should have adequate projections according to the climate zone, to allow the apt amount of sunlight inside a space. In case there are projections over the windows, and the light entering in the room is less than anticipated, one can apply reflective panels on the projection and windowsill. This will help in increasing the amount of light by the law of reflection. Mirrors are known for their reflective properties. Therefore, to maximize the amount of natural light in a room, one can install mirrors strategically in the room. The mirrors could be multiple or single depending on the taste of the user. Multiple mirrors can be arranged in a creative way, to project it as a piece of art and not as a mere reflective medium. One can go ahead and probably have an entire wall covered with a single mirror. Not only mirror, objects with a shiny and reflective surface help in improving the quality of natural light in the room. As the factor of reflectance is high for all the surfaces which have a shine. One should make sure that the window is devoid of hindrances in the path of light. The windowsill should also be free of obstacles. In case there is a tall furniture, which, might be coming in the way of light, it should be arranged in such a manner that it is kept on the darker side of the room. Basically, one should try to minimize shadow creation in a room in order to maximize light. If the window has vegetation around it on the exterior, one should be sure to keep it well-manicured. Any obstacle near the window should be removed, to avoid the clutter and thereby encouraging more light. 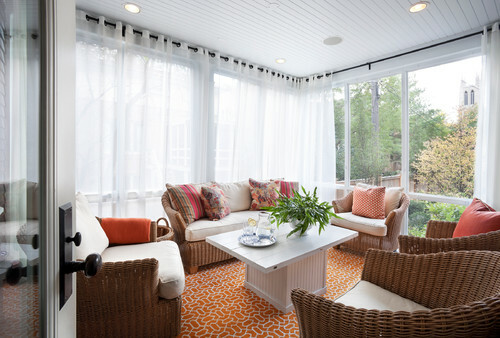 While choosing drapes for your curtains, be cautious to choose a fabric, which allows passage of light through it. One should refrain from choosing heavy treatment for windows. The drapes should be more towards translucency, which helps in maintaining the privacy and at the same time, allows the light to pass through, resulting in ambient light. One has to be judicious while selecting the colour and fabric of the drapes depending on the orientation of the window. For instance, if the window is in East or West direction, one can use sheer or translucent drapes, as the natural light is soft during the morning and evening hours. However, if it is a south facing window, one might have to consider dark coloured or heavy drapes, as the sunlight is quite harsh during the day. To increase the amount of natural light in a room one should go in for neutral and lighter colour palette, as the reflectance of light colours is more as compared to the darker tones. Therefore, the light and white colours help in reflecting the light more. The palette should be followed for all the elements of the room. Walls, floors and ceilings should be taken care of, as these are the surfaces which reflect most of the light. Window – Glass it right! To allow the light in one should try to go in for clear glass for the windowpanes. Clear glass helps all the light to pass through unlike frosted or tinted glass. 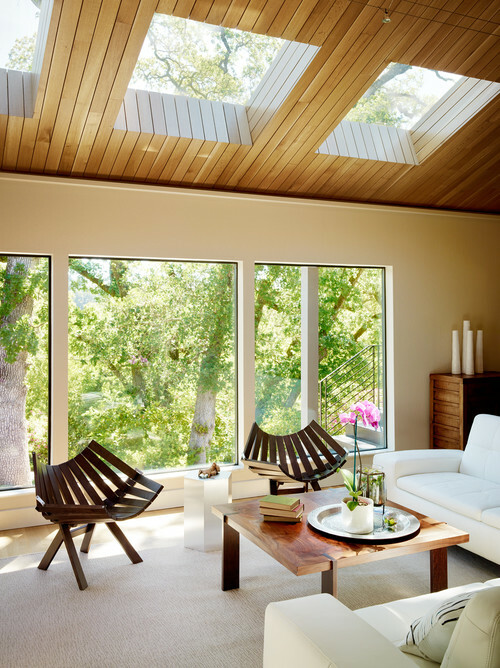 Other than the windows, natural light can be introduced into a space by means of skylights. Skylight is built in the ceilings and at times act as light wells. But, they should only be used if adequate windows cannot be accommodated, as they create glare and can also damage the objects kept in a room. If a room has solid doors, it also hinders the passage of light. To avoid the same the panels of internal doors can be made out of frosted or clear glass, more like French doors. These allow the passage of light from other rooms as well. 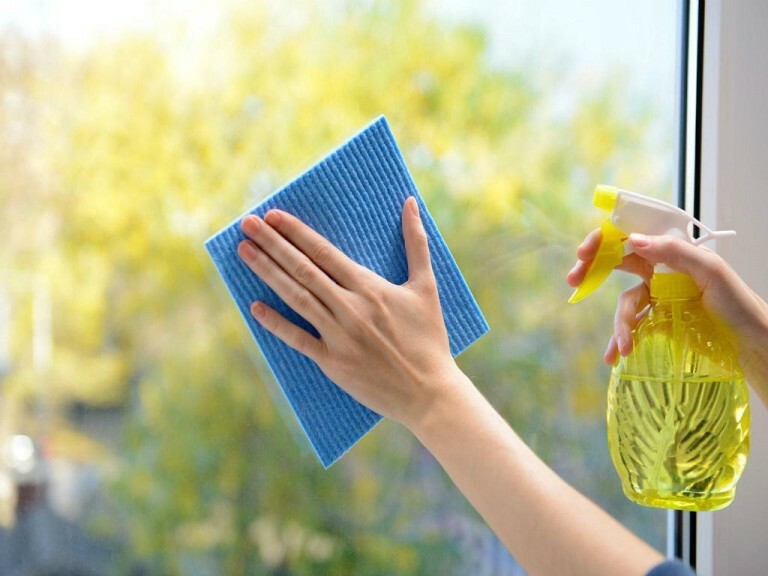 Clean windows help in a better quality of natural light. So, one should ensure that the windows are devoid of dust, which might be a little hindrance in the passage of natural light. Natural light is just like oxygen, it is also a lifeline for living beings. It is essential that all the rooms in a space have access to natural light, to liven up the spaces. 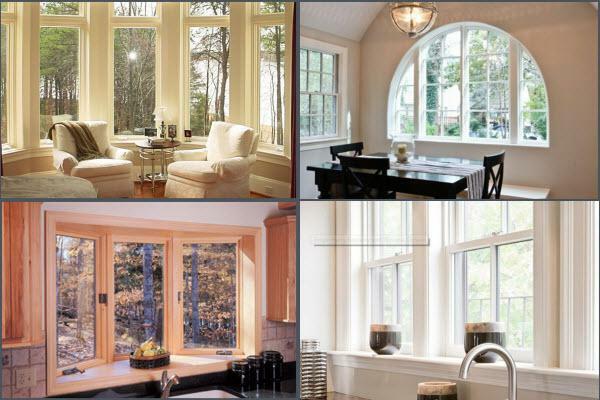 To have maximum natural light, there should be a complete utilization of the openings and windows. Just a few simple efforts can help in creating a large impact.